The Resiliency Center offers clinical supervision for social workers and play therapists earning hours towards their Registered Play Therapist credential. 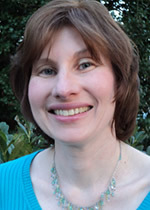 Kathleen Krol, LCSW, RPT-S has over eleven years experience in diverse client settings including inpatient and outpatient mental health, home and school-based settings. Her strong background in Contextual Family Therapy and trauma enriches the case conceptualization process.